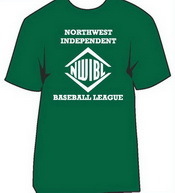 The Northwest Independent Baseball League (NWIBL) offers you a place to play your game with passion. Each of the 14-18 teams average 15 players, plays a 20 game season on weeknights and weekends, mid May to the end of August. Choose your division: The Columbia, a very competitive heads up style of baseball or the Willamette, with traditional Adult baseball teams that are able to play and win against any team in the league. Again this season players will have an opportunity to be scouted when teams play games Keizer Volcanoes (Giants A-Ball) Stadium. The NWIBL has a league All-Star Game and Home Run Derby, Monday Night and Holiday Pickup Baseball Games. The season climaxes with a grueling 2 week city wide double elimination City Championship Series. 1.Understand that a tryout is not a social event. You are there to take someone's job. 2. Dress like a ball player. Wear baseball pants, cleats, a hat and tuck in your shirt. You will get major deductions if you show up in baggy jeans and the latest skater dude apparel. Wearing your hat backward or sideways is a major no no. 3. When you arrive, place your equipment away from everyone else's. Run, preferably, by yourself, to get warm. Stretch away from everyone else in the outfield. Coaches will notice that this is a serious, disciplined, knowledgeable ball player. Also your equipment is less likely to grow legs. 4. Throw sufficiently to be completely warm. There may be a lengthy wait while waiting to perform at your position. Be sure to keep throwing if necessary to stay loose and warm. 5. Many think that hustling and trying to aggressively make plays is the way to impress coaches. Understand that it is early season and your game is not in midseason form. When it comes time to show your defensive skills you will be much better taking it slow and smooth, focusing on proper mechanics. Get your feet under you and focus on making an accurate throw. The odds are if you try too hard, rush it and throw it as hard as you can, you will boot it and throw it into the stands. 6. When hitting, take a pitch to get a feel for the timing of the pitch. Be selective and only swing at pitches that you can expect to hit with a high degree of success. Here again it is early season so your stroke is not in midseason form. Don't over swing but just swing smoothly and try to hit line drives and hard ground balls. The NWIBL (Northwest Independent Baseball League) is a organization dedicated to playing the game of baseball on the best fields and with the best umpires available to us. We have been in existence since 2009 and are comprised of 14-18 teams from the Portland and Vancouver regions. Teams are made up of all levels of players including former high school, college and professional baseball players, 18 years of age or older. We believe in "giving something back" to the community and hold Fund raisers during season ($10 for each HR to JDRF and during the All-Star game dollars for hits and runs for Team in Training) Our League is governed by the an Game Management made up from team managers and operated by the League Director. We also have Committees that handle Rules, Appeals, Disciplinary issues, and other issues on an ad hoc basis. If you are wondering "where do I fit in? "; we suggest that you check out our schedule and see some of our games. It COSTS you NOTHING to join our Free Agent (Pool) list, and by signing up your INFO will be available to ALL of our managers. Signing up for the Free Agent (Pool) list online is simple: just click the 2019 Player Registration Form and fill out the form. If you get picked up by a team, great! If not, you will be posted on the Free Agent page and available to play for any team. (If you do play there is a $15 charge for Accident insurance). Player fees: New players pay a team fee set by the manager..
18+ Season length is 20 Games and 30+ and 40+ is 16 Games for regular season play. Playoffs are additional games for teams that qualify and no additional cost. Included are the Home Run Derby, All-Star Game, Playoffs, and Championship Games (for players/teams that qualify). Playoffs consist of the teams playing in a bracket elimination tournament. Both Divisions play Double Elimination. Players must play 25% of season league games to be qualified for playoffs. Top each Division winning team receive league Championship Trophy or Plaques. We also have awards for Offensive Player of the Year, Pitcher of the Year, Rookie of the Year and Sportsman of the Year. Players qualify to play tournaments. Check out the Tournaments page for dates. Player registration ends July 15 each Year. Players in the Free Agent pool are still available to play but not qualified for playoffs unless they have played in 5 league games for the same team. No games scheduled for Mothers Day, Memorial Day, 4th of July or Labor Day weekends. How old do I have to be to play in the NWIBL? As long as you turn 18 years of age before 8/31 of the current year you are eligible to play in the NWIBL. How long has the NWIBL been in existence? How many teams play in the NWIBL? The 18+ NWIBL is currently comprised of 14-18 teams from the Portland OR and Vancouver Wa area.. The 30+ NWIBL is currently comprised of 4-8 teams from the Portland OR and Vancouver Wa area.. The 40+ NWIBL is Must Be comprised of 4-8 teams from the Portland OR and Vancouver Wa area.. There are several ways to join a team. The easiest way is to know a current player and, if you are good enough, tryout for their team. If you do not know any players in the league you can submit your information via the link titled "2010 New Player Registration Form" on the top of the home page. Submitting your information will send an email to all of the league Director who will contact you to learn more about your abilities. There is also a League Draft in which New Players may be added to teams in need of more players (we try to place everyone on a team but we do have the right to place you in the Monday night league if we feel that you need more practice, we do not want to place anyone in harms way and want all player to be able to protect themselves at all times while playing). Typically 50-70 players are added to teams each season using through this method. How often do you play and how long is the season? Games are usually played on weeknights after 7 PM With Lights and weekends starting at 10AM The 2014 season begins May 4. The playoffs begin in August. Each team plays an 20 game regular season schedule including 3-4 double-headers. Players Drafted will pay a League fee of $350. The returning player fees vary from team to team. Typically it is between $275-$350 dollars per year, per player. This fee covers costs like team bats, uniforms, other equipment, Umpires and certain league expenses like insurance. Some teams are able to obtain sponsors to help defray costs, some hold fundraisers. Some teams play approved extra road games outside the league. All teams request payment up front. Teams who have not paid the team fees will be held out at the start of the season...no games until paid. Games missed will be forfeited. Most teams have uniforms similar to major league baseball teams. How fast is the pitching? Most pitchers in the league have fastballs between 70-85 MPH however there are some pitchers that can top out in the high 80's in the upper division. Lower division pitchers throw between 60-75 MPH but every team has at least one pitcher who can bring it. What positions are most in demand? All positions are in demand however good pitchers and catchers are particularly hard to come by. What if I want to submit an entire team? 1. A formal submission must be made in writing to the NWIBL march 15 of the year that a team would like to compete. The written submission shall provide the following information: a) Team Name b) Team Manager and Contact Information c) Initial Roster of 15 players must be submitted. Additional players can be recruited before the season. e) Background on team and manager i.e. played together in another league, newly formed team, etc. 2. A Team deposit of $800 must be submitted with your application. This deposit will be refunded if the team is not allowed into the league following a vote by the NWIBL Board. 3. Cost - The estimated team league cost is 18 Plus Teams $4950 and 30 Plus Teams $4500. This cost includes insurance, Umpires, Fields, Baseballs and certain league related administration costs (Liability insurance, website, field maintenance etc.). This cost does not include: a) Uniforms. Player Equipment, Practice Baseballs (we will provide you with discounted options. 4. New managers and players must be familiar with the NWIBL By-Laws. 5. Once all of criteria are met the managers will vote for acceptance of new team at the April meeting where a majority vote will decide. Where are NWIBL games played? Games are played at Sckavone and Walker Stadiums here in SE Portland, T-Hills Beaverton, Luke Jensen in Vancouver, Volcanoes Stadium, a few games may be played at local High School or College fields. The Columbia Division is HIGHLY COMPETITIVE. The Willamette Division is experienced. Players in the NWIBL have baseball experience ranging from high school to a stint in the Major Leagues and every level in-between. The competition is solid but we all realize that we need to go to work the next day.